The Gambia’s 22-year dictator Yahya Jammeh is planning a last-ditch power grab after losing December's election, but Gambians are having none of it. The Gambia’s 22-year dictator Yahya Jammeh shocked the world Dec. 2 when he called incoming President Adama Barrow on the phone, congratulating him on his electoral victory. Jubilations lasted no more than a week, as Jammeh reversed his concession of defeat on Dec. 9, when he claimed the results had been rigged. The incumbent’s Alliance for Patriotic Reorientation and Construction, or APRC party, has since filed a petition over election fraud in the Supreme Court. While Jammeh has a history of sacking Supreme Court judges without warning — and stacking the judicial system in his favor, so as to help him cling to power — Gambians are having none of it. They have led a number of actions and are preparing to swear in their duly elected president on January 19. Resistance under Jammeh’s authoritarian rule has been sparse throughout his time in power. The fewer than two million residents of Africa’s smallest mainland country have lived mostly in fear of the regime. The early sparks of dissent to Jammeh’s rule flickered in 2000, when firemen forcefully removed student Ebrima Barry from class. They shaved his head, stripped him naked and force-fed him cement. Barry’s classmates stormed the fire station with banners, but were dispersed by police. With each attempt to repress student dissent, the state solidified young Gambians more. The Gambian Student Union staged a series of protests, which resulted in a violent crackdown, including a massacre in 2000 in which 14 students, a toddler and a journalist were killed by police. 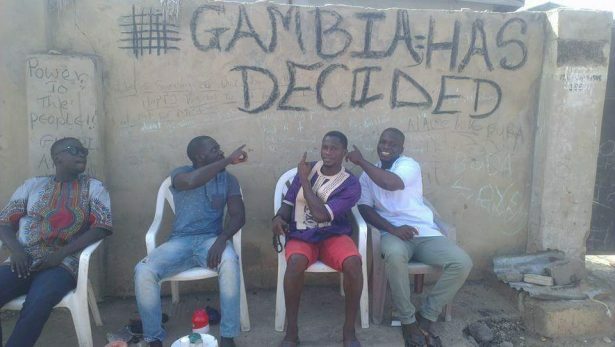 One Gambian activist, identifying himself as Muhammad to maintain anonymity, spoke with me just five months ago, when The Gambia seemed relatively inactive in its resistance to Jammeh’s rule, even with the election nearing. The broom has become an inspirational symbol for Gambians. 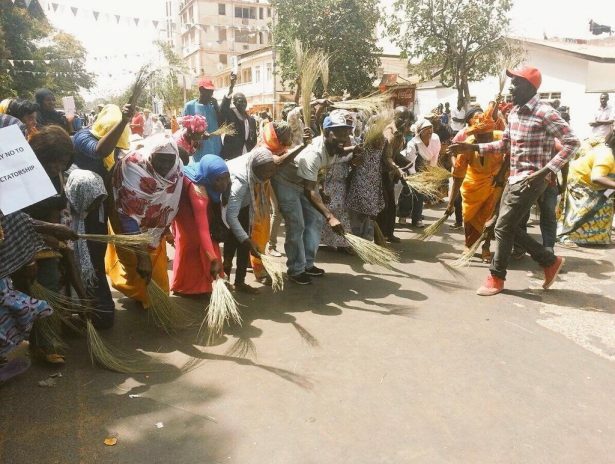 Its connotations of cleanliness have inspired more young people, especially females, to participate in actions calling upon others to rid the nation of Jammeh’s “dirt.” Young men and women brought brooms to the streets of Banjul again on Saturday. The broom is not the only tool that might force Jammeh to step down. His admission of defeat, and subsequent denial of it, has emboldened more people to react with a variety of actions. Operation Diya Kuya (meaning “like it or not”) was a codename for social media mobilization. With traditional media largely owned or influenced by the state, social media became an alternative source of information and opinions on Jammeh’s coup attempt. 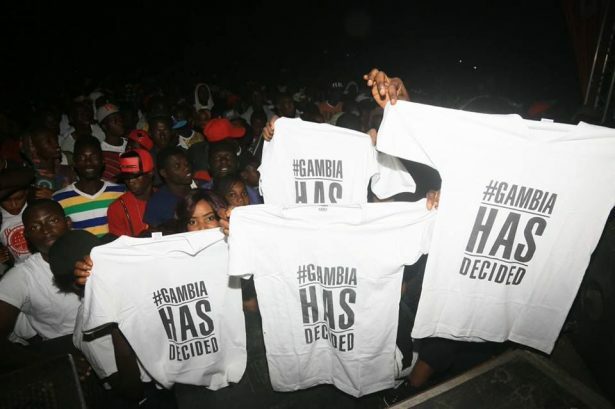 The Twitter hashtag #GambiaHasDecided surfaced, and it hit the streets on T-shirts as well. Even in a tiny nation almost entirely enveloped by Senegal, new tweets are being added by the minute and keeping the morale of Gambians high. A few young Gambians were arrested for wearing the T-shirts, but according to Muhammad — who is also one of the #GambiaHasDecided organizers — they have since been released. Teachers and students have also joined hands in favor of Barrow’s swearing in. Staff and faculty at The University of Gambia began boycotting classes and examinations immediately upon Jammeh’s allegations of vote rigging. Students soon joined the initiative. 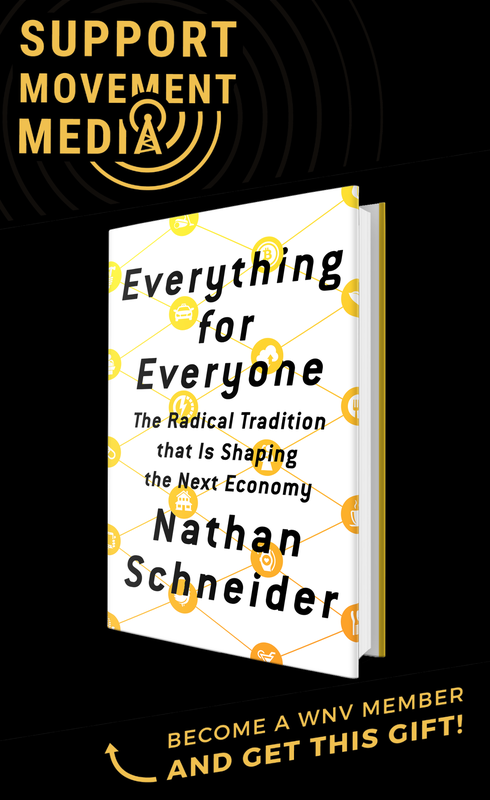 The sustained activity of mostly symbolic tactics has now engendered a spirit of hope in the once fear-ridden country, resulting in defections. On Tuesday, numerous ministers submitted their letters of resignation to Jammeh. While the letters are mostly filled with gratitude and diplomacy, they clearly indicate that the nation’s instability should not be sacrificed during this political transition. Ministers who stepped away from their offices included those of Foreign Affairs, Trade, Finance and Tourism and Culture. Some fled The Gambia in fear for their lives. Following a United Nations Security Council decision to recognize Barrow’s victory on Dec. 10, thousands of Gambians have fled to Senegal fearing political unrest. Their numbers have increased as the inauguration of Barrow draws near. The Economic Community of West African States, or ECOWAS, has pledged to send troops and use military force should Jammeh attempt to undermine Barrow’s inauguration. Chairwoman of the 15-state coalition and president of Liberia Ellen Johnson Sirleaf told the BBC, “There is no change in the ECOWAS position. The constitution of The Gambia must be respected.” Although she said she did not anticipate any trouble on inauguration day, activists are concerned about the possibility of a foreign invasion. Diaspora Gambians have responded to the military uncertainty surrounding inauguration day with ashobi, a Gambian cloth. They have galvanized support for their family members back home by sending yards upon yards to those who request it. Barrow supporters will wear this quintessentially African fabric to the inauguration. Ashobi starkly contrasts with the intimidating uniforms of security personnel, but this is no assurance for some. The possibility of violence by foreign militaries or Jammeh’s forces is real. Is Jammeh eyeing the golden parachute? Perhaps Jammeh is beginning to realize he is not invincible. The man who once asserted he could stay in power for a billion years if Allah willed it — who claimed he had a three-day herbal cure for AIDS — may be threatening to go out with a fight because of the benefits such a threat entails. Jammeh’s claim that the polls were rigged came only after Barrow’s party — the United Democratic Party — resurfaced its commitment to indict Jammeh in the International Criminal Court. From a financial perspective, Jammeh may be waiting for Sudanese billionaire Mo Ibrahim to offer him a comfortable retirement package. Ibrahim has pledged a $5 million initial payment and other perks to some African heads of state who leave power peacefully. Nigeria has already incentivized a concession of power by offering Jammeh asylum. With a record of dealing in arms and drugs, while locking up opponents and abusing human rights, this offer may appear shiny enough for the dictator. A golden parachute may not need to be so golden. In any case, few politicians are as seasoned and authoritarian as Jammeh, who is unlikely to concede anything without some personal benefit — that is, unless people power triumphs first.